Later this year Megalo Box will have a new ring to call its own. Viz Media announced plans to bring the brand new English dub of the series—which celebrates the 50th anniversary of Ikki Kajiwara and Tetsuya Chiba’s Ashita no Joe manga—to the Toonami programming block. 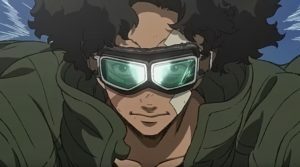 Megalo Box‘s Toonami debut is scheduled for December 8. For more on Megalo Box, be sure to read Daryl Surat’s hard-hittin’ feature.